So many holidays are about celebrating something momentous; a battle won, someone’s birth or legacy, positive change. Around these holidays, food is often a central piece of what happens to commemorate. Bastille Day is a French national holiday on July 14th. In 1789 the “storming of the Bastille” marked a symbol of liberty and the fight again oppression for French citizens. This marked the beginning of the French Revolution, the genesis of the sovereign Nation and eventually the First Republic. Somewhat analogous to our 4th of July/Independence Day for the United States, this day symbolizes freedom and there is much celebration around food and wine. 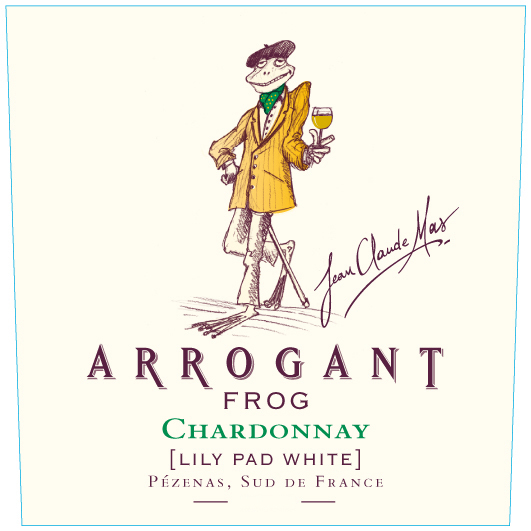 I was recently approached by Arrogant Frog Wines to help them celebrate Bastille Day by pairing food with their wine. Produced in Southern France’s Languedoc region, they’re the brainchild of a fourth-generation vintner, Jean-Claude Mas (as seen below, on the left). His wines were created with the concept that quality and value were not mutually exclusive. The name is a pithy play on words in reference to the English name for the French. Subsequently, their wines are equally as “playful” and they have a very affordable price point of $10 bottle. With so many wine options out there, for my day-to-day drinking wine I love a quality wine, that doesn’t break the bank. This is exactly Arrogant Frog’s style. Paired nicely with seafood, their 2012 Chardonnay “Lily Pad White” was crisp and perfect for a Summer evening. I made my favorite, simple dinner where if it’s too hot there isn’t a lot of effort. Purchase 1 lb of salmon. Cut up one lemon into four round wedges. Lay the lemon down in a square on a sheet of tin foil. Place the salmon on top of the lemon (if your piece of salmon is large, you may need more lemon wedges). 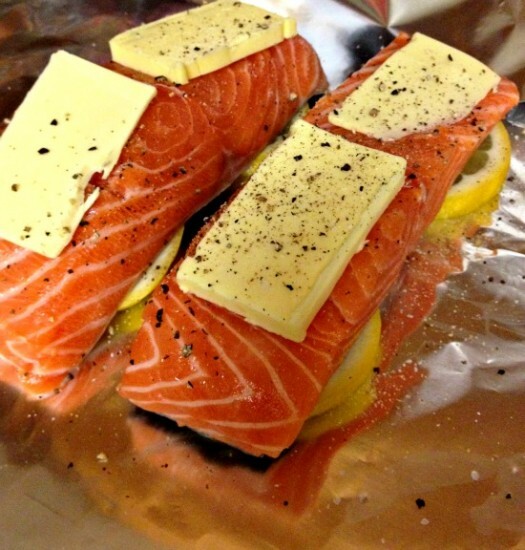 Cut small squares (about 1 tablespoon each) of salted butter and place two on each piece of salmon. Cover with salt, pepper and granulated garlic (optional for taste). 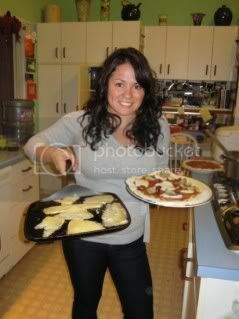 Wrap in tin foil and bake for about 25 minutes on 300 degrees Fahrenheit in the oven. This dish was served with a crisp salad over a mustard vinaigrette, grilled chard and the “Lily Pad White” Chardonnay. In addition to this seafood recipe, I’ve collected some special Bastille-centric recipes to commemorate the holiday (I love any way to celebrate food, period). These were selected to pair nicely with Arrogant Frog wines. Stuffed Crepes with mushrooms, ham, and bechamel sauce – the mushrooms pair nicely with the 2011 Arrogant Frog Pinot Noir. Great with savory food and meats. Thanks to Arrogant Frog Wines for providing the wine to taste and pair with the food, in coordination with Bastille Day. To learn more, head to Arrogant Frog Wine’s website.